So it’s time for your so awaited and deserved holidays and everything starts to add up: stuff to prepare, nerves… There is plenty to think of before taking off and enjoying your holidays, but with a little bit of organization you’ll surely spend an unforgettable holiday in Ibiza. So here we are to help you and give you some tips for making your holiday planning easier. We hope these tips help you and that everything goes perfect. The season in Ibiza starts in April and ends in late October but these dates are somewhat flexible as it is also a destination for those seeking the peacefulness of the low season months where you can also enjoy nice temperatures and you can do alternative activities to the summer ones. Obviously not everyone has the same flexibility for choosing their holidays but we recommend to learn about the cultural agenda of the various events that take place on the island so you can enjoy the ones that you like by making your visit to match. As well, if you’re looking for a time with a lively atmosphere, June, July, August and September are the months with liveliest vibe. Contrasting with the beginning and end of the season when is usually more calm and quiet. keep in mind that most apartments and holidays villas are rented by weeks, with arrivals and departures on Saturdays. 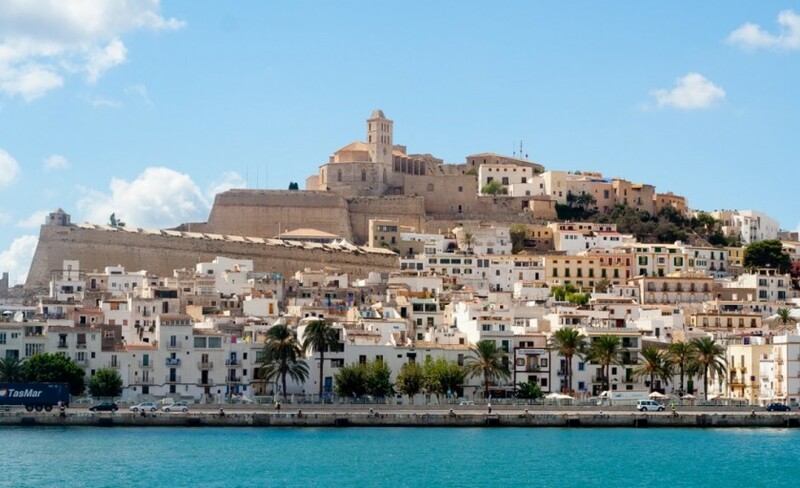 To get to Ibiza you can take a plane from several national and international airports or travel by boat from mainland Spain. You’ll find many options and offers by different companies, just pick the one that best suits your needs, and for this you can use special search engines that automatically compare the prices. The main advice that you should keep in mind is that the sooner you buy your ticket, the cheaper you’ll get it. But also there are several tricks to prevent overruns on prices when searching online. If you book two months in advance it is likely that the price is quite affordable but sometimes there are last minute offers too. Another recommendation is that you use different Internet browsers and portals for flight searches and frequently delete cookies to prevent the raise of prices in every new search. Oceanfront houses, modern villas with swimming pool, rural fincas ideal for families or a group of friends located in different areas of the island… Choosing a holiday villa for your accommodation during your stay in Ibiza is a great option, as it becomes your haven of peace for a perfect holiday away from any kind of hustle and bustle. And if, in addition of opting for a villa, you choose one with the fantastic views that the beautiful Ibizan sea and landscapes offers, then you’ve surely hit the spot, as there is nothing better than watching the hours passing by before the natural beauty of the Ibizan natural environment. This is why we try to make the planning process as easy as possible and our main goal is to find the perfect home that suits your needs. Peaceful and secluded places perfect to relax and fully enjoy your holidays are some of the options you will find on our website Ibiza Hideway.net. As we have already mentioned, if you travel by boat you can bring your vehicle with you but it will certainly be cheaper to rent a car once you get to the island. In the airport you will find several companies where you can hire this service but if you want to get a lower price, you can also book a car in advance online so you have time to compare your options in depth. There is also a public transport service that even though it’s efficient, it doesn’t give access to every corner of the island nor it has the flexibility of going with your own vehicle. So the best way to fully discover the island is by car. But before deciding anything be sure to compare well the rates and read well the terms and conditions of the insurance and rental contract. And if someday you’d rather forget about the car and get around the island without worries, taxis on the island are available to get anywhere, no matter how complicated the access, just be careful with unofficial taxi services, because if something goes wrong they do not offer any type of guarantee or insurance.